Are you looking for technical expertise without having to employ more staff members? Allow us to do your next project; you will never look for another consultant. N&B Marine Consultants, LLC is a global solution Company located in the Greater New Orleans area and has been established to provide the highest quality of marine technical consultancy. 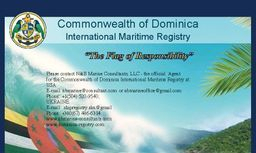 and official Agent for the Commonwealth of Dominica International Maritime Registry. N&B Marine Consultants, LLC provides comprehensive technical expertise for Ship design, Structural Analysis, Vessel Modification as well as project management, production supervision, testing, delivery and operations planning worldwide. We offer an exceptional mixture of engineering analyses and hands-on field experiences to organizations and companies involved in the design, construction and operation of ships, barges, offshore construction vessels and structures. To assist Owners/Masters with a wide range of Class and Flag Authorities issues. To coordinate with Class societies and Governmental Marine Administrations, handling classification approval, obtaining Class Certificates and Flag exemptions on behalf of the owner. Tonnage and freeboard calculations, etc. N&B Marine Consultants LLC are appointed Maritime Registrar for St Kitts and Nevis International Ship Registry and the official Agent for the Commonwealth of Dominica International Maritime Registry. We will be happy to assist owners with the registration and licensing of ships, issuing of all Vessel and Seafarer documentation. We are are the official representative of Novel Classification Society S.A (novel Class) in USA and Ukraine. Coordination of the activities and parties involved in the operations. Their expertise enables us to do far more than we could alone, and their passion and talent inspire us. SEA ISLAND MARINE ENGINEERING, INC.
Our ability to provide excellent service with top class quality is unmatched. We deliver accurate and comprehensive documents to our clients in a timely manner, at reasonable prices. 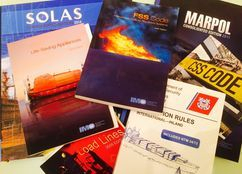 Maritime professionals and shipping companies are welcome to contact us; we look forward to future cooperation.